Need a Moving Company or Movers in Plantation, Broward County? Need a Moving Company Plantation or Movers in Plantation, Broward County? Plantation, where "the grass is greener," offers a wide variety of housing options ranging from just right sized rental apartments to multi acre, equestrian estates and everything in between. Boasting numerous country clubs, Plantation is a lovely bedroom community with many private and public schools to choose from as well as being just moments from Nova Southeastern University - one of the many fine institutions associated with the nearby South Florida Educational Center. Recreational activities include numerous sports and family parks, abundant green spaces, a historical museum, children's and regional public libraries – plus a state of the art equestrian center, aquatic center, abundant tennis courts and one of the area's newest public golf facilities – the Plantation Preserve Golf Course and Club. Moving Company Plantation, For over two decades, Plantation's most selective residents have confidently relied on Superior Moving and Storage. Our moving company provides an extensive variety of relocation, local and long distance moving and storage services. 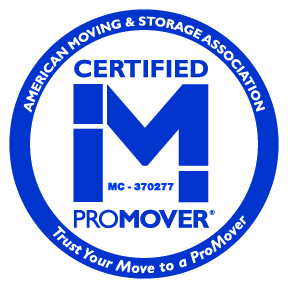 Fully licensed and insured - locally owned and operated - Superior Moving and Storage maintains a reputation for integrity, reliability, quality and value - distinguishing themselves as a dependable Plantation moving company and industry leader among local, long distance or relocation moving companies and storage professionals. Whether you need a moving company to go across the street, local movers to go between counties or the best of long distance moving companies to plan your cross country relocation, Superior's movers meet or exceed even the most particular Plantation residents' expectations. Our moving company provides expert advice, careful packing services and highly skilled movers to assure the most thoughtful handling of your cherished possessions. Every aspect of your move is overseen by Superior Moving and Storage hand picked movers and staff - starting with our courteous, insightful office personnel. Superior to other moving companies, our experienced, detail oriented estimators are specially trained to provide time and money saving moving company pointers - ensuring the best value for your moving and storage dollar. Plantation's furnishings are conscientiously packed for optimum moving safety. Our superior moving company uses sturdy, item specific boxes and/or premium quality, fully sanitized movers pads – packed professionally by qualified movers committed to treating each item as a priceless heirloom. Our state of the art fleet of moving company trucks provides added security. Relax knowing you can count on the safe and secure relocation of your valuable possessions, locally or long distance - in reliable, meticulously maintained vehicles - by dependable, qualified movers. Critical when comparing moving companies is the quality and dependability of their drivers. Superior Moving and Storage is a proud leader among Plantation's moving companies. Known for a rigorous driver training program, our moving company boasts the finest, properly licensed and regularly evaluated drivers and movers who will transport your contents safely and securely - over long distances, local moves or to our air conditioned storage facility. Plantation's full service moving company, Superior Moving and Storage also provides 100% air conditioned, 24-hour video surveillance secured storage facilities - placing extra care to guarantee your valuables will be safeguarded in every way, including from Florida's intense heat and humidity. We invite our prospective clients to tour our state of the art storage facilities. Plantation residents are encouraged to compare moving companies and experience the Superior Moving and Storage difference personally. At Superior Moving and Storage we know there are many local, relocation and long distance moving companies to choose from in Plantation. We urge our Plantation neighbors, seeking movers and relocation or storage services, to see for themselves. Stop by and experience our spotlessly clean facilities, modern and well maintained equipment, relocation or long distance packing supplies and expertly trained staff - ready to serve your local, long distance, relocation and storage needs. Once you're impressed with how our moving company compares to all other Plantation moving companies, let Superior Moving and Storage continue to pleasantly surprise you with refreshingly reasonable rates. We are pleasantly competitive with other moving companies pricing on all packing, storage, moving and relocation services. Planning a local or long distance move on your own? Unlike some other moving companies, we are pleased to offer valuable tips, on the most secure methods of packing, to all our customers. Our fully qualified staff can recommend the best moving and packing supplies for extremely competitive prices. Moving yourself but not up to the huge task of packing all those beautiful furnishings and family keep sakes? Use our professional packing services. Let the courteous, expertly trained staff at Superior Moving and Storage set you free from the hassle and worries that organizing, packing and labeling of local and long distance moves will present. Relocation needs? Superior Moving and Storage offers Plantation residents the same exceptional services across the street or across the country. We are a moving company who proudly offer truly superior services.